This week, I’ve received a plethora of questions about forgiveness. Doesn’t it let the other person off? Forgiveness is a vital part of living your best life. Without it you could squander your whole life away in agony or resentment. No one should live this way. 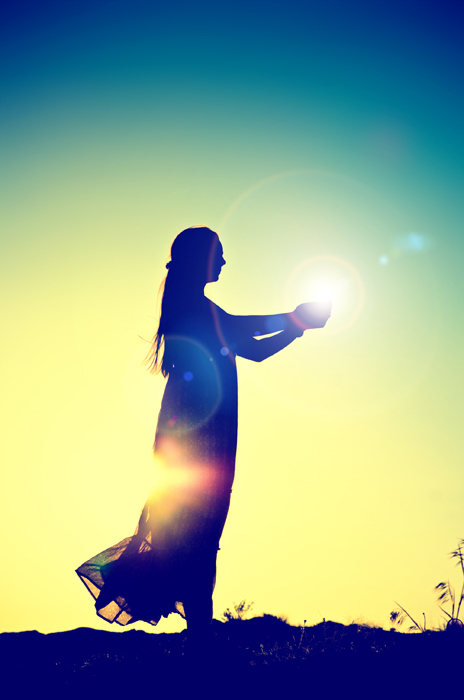 I wrote about forgiveness in my book Resurrecting Venus and I am such a believer in its life-transforming power that I am sharing the whole chapter here today. Consider it my April Self-love gift to you. If you’re ever going to read anything from me, read this chapter. PLEASE share it far and wide with everyone you know. This is a UNIVERSAL experience and we all deserve to be free. Note: This writing on forgiveness is not intended for people who are in the throes of a crisis. Neither is it intended to rationalize the continued tolerance of intolerable situations. If you are currently suffering from emotional upheaval, take the well-deserved and brave step of seeking professional/spiritual/religious help. Forgiveness intersects with the path of healing, but until you’ve begun to heal it can be too much, too soon. In situations like these, try to hold a place of possibility and desire for the ability to forgive in the future. “Forgiveness is the most vital and most misunderstood step in creating the life we dream of living. Due to widespread misconceptions about what forgiveness is, and what it is not, the subject can trigger great resistance in even the most tenderhearted people. However, once understood, forgiveness will free your heart, soothe your spirit, and change the trajectory of your entire life. As we go through life we cannot help but feel negative emotions from some interactions. Whether the upset is directed at a rude store clerk or someone who’s caused us deep anguish, we often hold on to the memory and the resulting feelings and emotions. Most people are unaware of the damaging impact on their lives. Holding on to resentment, anger, jealousy, wounds of rejection, and other negative emotions can influence and shape every new interaction. For example, if you’ve had an unfaithful partner in the past—and you’re holding onto that pain when you meet a new love—the very mistrust and hurt you want to avoid will color your behavior and bring suspicion into your new relationship. Similarly, if you’ve had a falling out with a family member and you are determined to have a better relationship, but you’re still sore about the past, you will unconsciously infuse your present experience with poison from the past. Another example: Perhaps you’re determined to start anew and become the greatest expression of you possible, but you’re defensive. You’ve decided that you are not going to let anyone take advantage of you this time. Holding this thought makes you a magnet for people intent on taking advantage of others, including you. Whatever you have not forgiven will continue to show up in your life. All of the negative emotions you carry forward act as a smoky haze clouding your perceptions, feelings, creativity, and motivations. When more negative experiences happen, and they will, the weight of the negativity grows. Lugging it all around with you is debilitating and harms every aspect of your life. In extreme situations, bitterness and cynicism become the dominant emotional states. Isolation and loneliness follow, because no one wants to keep company with a miserable person. Non-forgiveness turns you into a victim, because when you hold someone or something else responsible for your emotional state, you give away control of your feelings. The way you feel about yourself, others, and life shapes every action you take. It’s important to know what healthy forgiveness means. Forgiveness is the release of persistent negative thoughts and feelings that you harbor about yourself, someone else, or past events. It’s the rejection of continued bad behavior. You are responsible for your personal care and safety, both emotional and physical. When someone harms you, they have demonstrated who they are, so believe them. Thinking they are different than their poor behavior is your poor judgment. Regardless of how many times the bad thing actually occurs, the first time it’s their fault. If it happens again, and you could have left or avoided the situation, you share in the responsibility. Granted, there are exceptions (for example, stalkers and random or other unavoidable encounters), and sometimes people do change, but if the promised ”change” is spurred by being caught cheating, lying, or committing some other harm, beware. The chances are high the behavior or action will be repeated. Sometimes, people are unwilling to forgive because they believe that the other person doesn’t deserve their forgiveness. This thinking is flawed. No one suffers from your non-forgiveness more than you. You may think you shackle another in chains of non-forgiveness, but you bind only yourself. It’s not about the offending person. It’s all, and only, about you. Forgiveness benefits the forgiver. I begin with the understanding that by holding onto non-forgiveness, I am harming myself, and by letting go of heavy negative thoughts and grudges, I free up space for new experiences of love, inspiration, success, connectedness, health, and power. I remind myself that forgiveness unties the chains that hold me hostage and prevent me from moving on. I acknowledge that I cannot take the actions of others personally. I know that I am not the real cause of their behavior, and that anyone who triggered their fear or upset the way I did would have received the same treatment. I remind myself that blame is the victim’s trademark, and I refuse to subsist in victimhood. 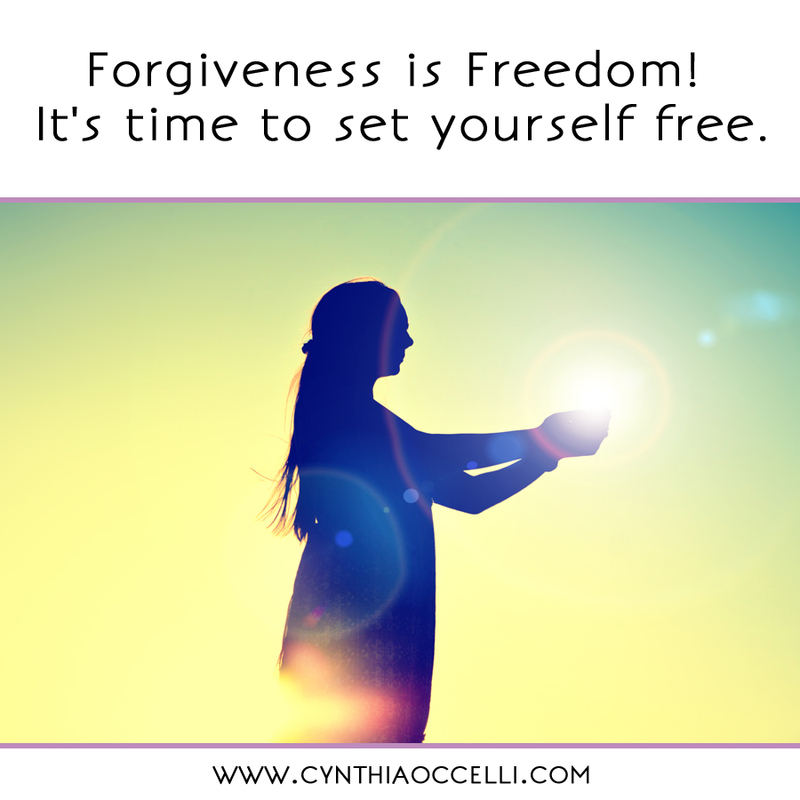 Beyond empowering myself, I know that forgiveness improves my health, relationships, and moment-to-moment well-being. I ask for help. I ask the power responsible for making my heart beat to take the burden from me. I ‘turn it over” to Spirit and give thanks that I am free. I reflect on the truth I’ve chosen to live my life by: Love is the most powerful force in existence and I am one with it. I cannot hold onto non-forgiveness and uphold my commitment to love myself. If the feelings are intense, I might write everything I have to say, unedited, unrestrained, and unfiltered, and when I can’t come up with anything else, I (safely) burn the writings. Sometimes, I light a candle and send every unforgiving thought away in its flame. There may be ways that work better for you. I encourage you to seek them. How you forgive is not important, only that you do it. Only your freedom matters. If this post serves you, read Resurrecting Venus. Get your digital copy here, click here for a signed hardcover edition. There are no accidents in my life. Today was the time to find your article. I have already made plans for my release ceremony. I hadn’t realized releasing “non-forgiving” thoughts was necessary to make it complete. I know now. Thank you for writing this. I love this. Hugs to you, Maggie. Sooo needed this. I have had a very hard time forgiving someone I thought was my best friend, only to realize he wasn’t. He took full advantage of me buy I realize I need to take responsibility for the fact I allowed it to happen. Thank you. I will practice this every day until I feel fully that I have forgiven.